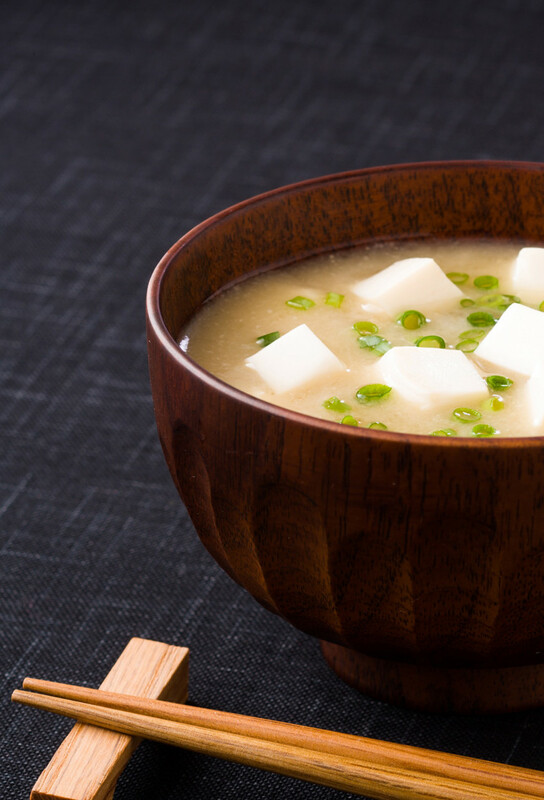 Categories: Dressing, Miso. 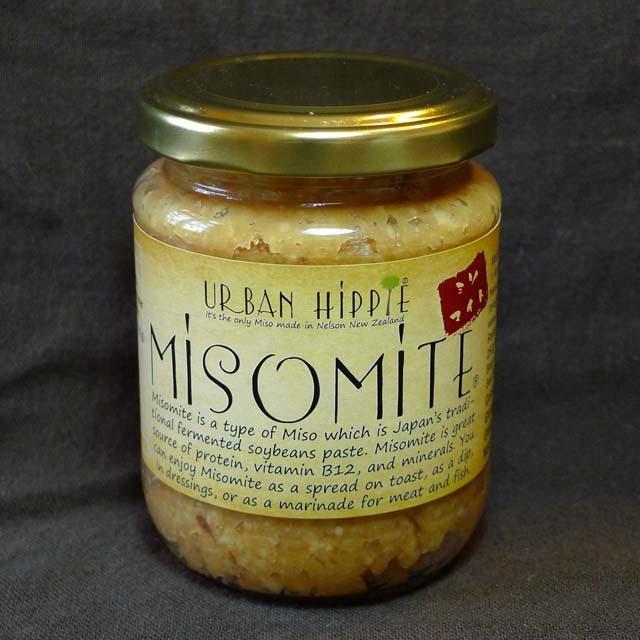 Tags: Dressing, GMO free, Miso, Nelson, New Zealand, No MSG added, Soy beans, Unpasteurised, Urban Hippie. 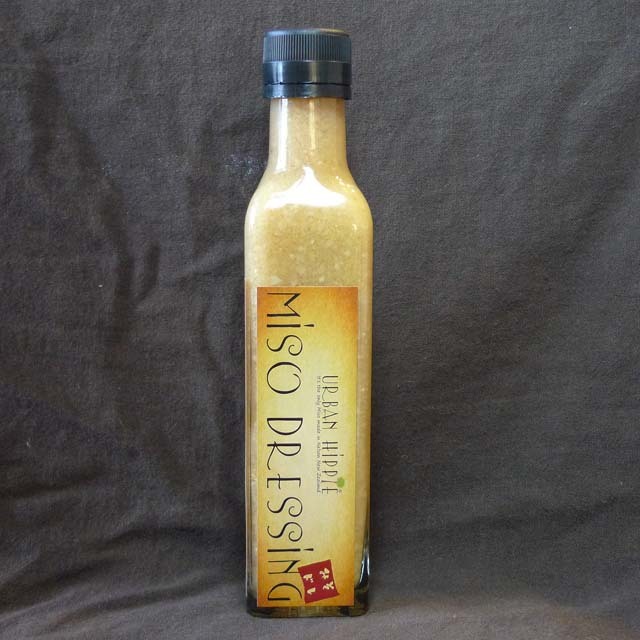 Urban Hippie Miso Dressing. 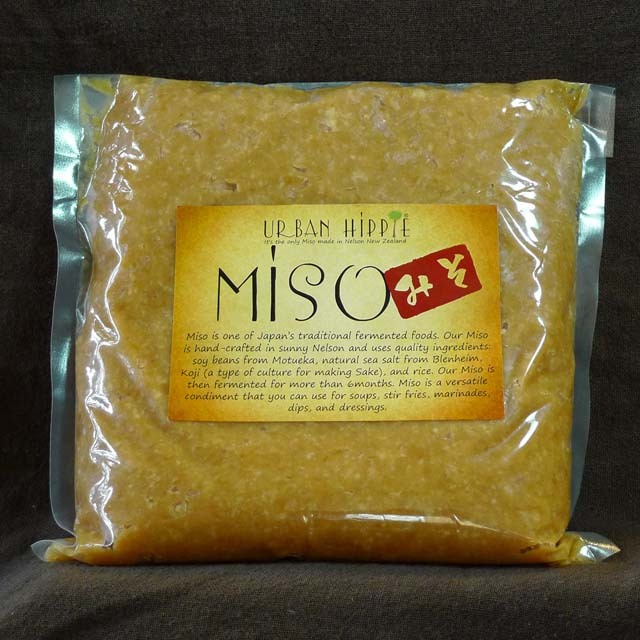 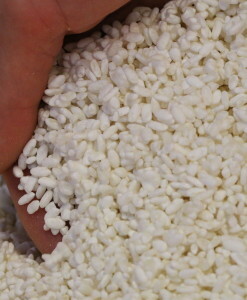 It is mixed with Misomite, rice bran oil, and rice vinegar. 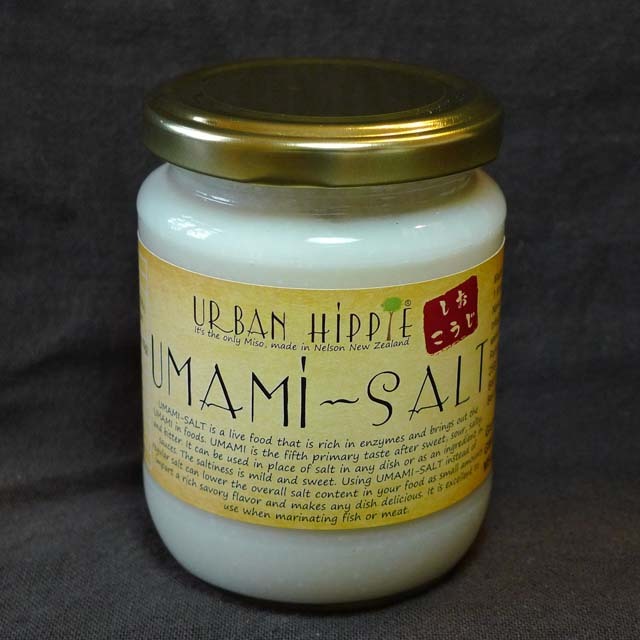 It is great for any kind of salads, steamed veges, or roasted veggies. 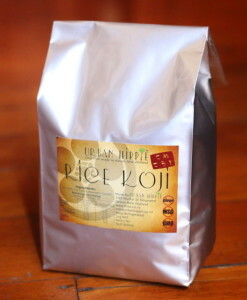 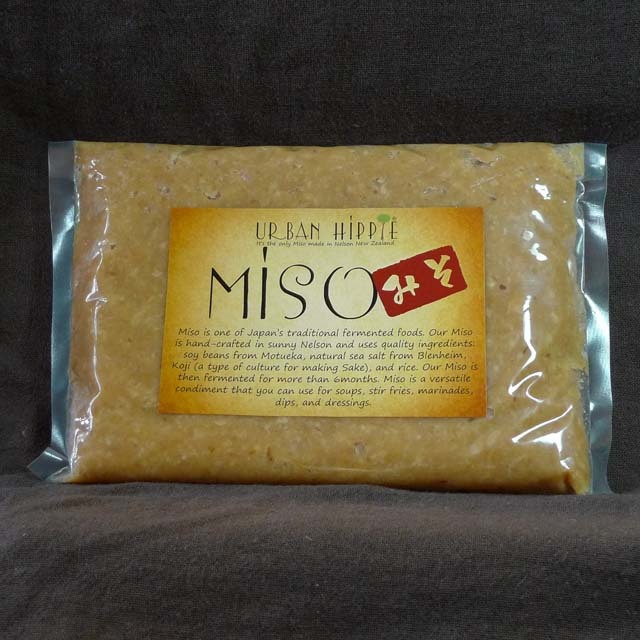 Ingredients: Rice Vinegar (43%), Miso (Rice, Soy beans, Salt, Koji) (38%), Rice Bran Oil (19%).